Thank you very much for your interest in promoting your site, product or service on our blog. The Bookstore Guide still remains our hobby, but in order to keep up the pace with the growing number of visitors we have decided to offer advertising space. At this moment, we’re offering two basic ways to advertise on Bookstore Guide – text link ads and 150x90 banner spots. Besides these options, we’re open to other suggestions from your side, so if you have your own idea on how to promote yourself, feel free to send us your alternative proposal (giveaways, product promotions, competitions etc. or different size/format of the ad) for our consideration. We reserve the right to refuse any advertisements that do not comply with the values and principles behind this project. Simple text links will be displayed in the left sidebar of our blog. Your text link ad will thus appear on all the posts and pages of our blog. Text link ads are available at a price of 15 Euro for 30 days. One month for FREE for each six months purchased. Banners with the image you choose will be displayed in the left sidebar of our blog. Your banner ad will thus appear on all the posts and pages of our blog. Send the image you would like to appear there in the form of a banner linked to the website you desire to our E-MAIL. 150x90 banner ads are available at a price of 20 Euro for 30 days. One month for FREE for each six months purchased. Banners with the image you choose will be displayed in the left sidebar of our blog. Your banner ad will thus appear on all the posts and pages of our blog. Below the banner, you can add a line of text (including another link). Send the image you would like to appear there in the form of a banner linked to the website you desire to our E-MAIL. 150x90 banner ads are available at a price of 25 Euro for 30 days. One month for FREE for each six months purchased. All the ads will be placed in the left sidebar of our blog in the top section of the page, we will send you a visual preview of your ad before running it on the site. 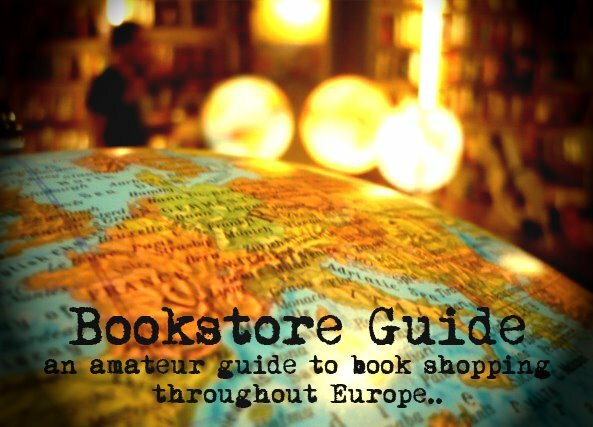 If you're interested in advertising on Bookstore Guide or if you need any further information, contact us.